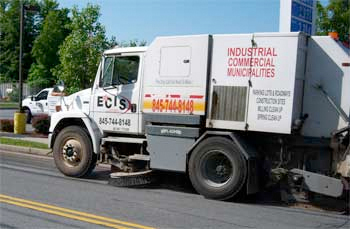 With ECIS, one phone call is all it takes to handle all your sweeping and landscaping needs. East Coast's experienced management team knows how to provide a thorough service level designed to keep our customers satisfied! 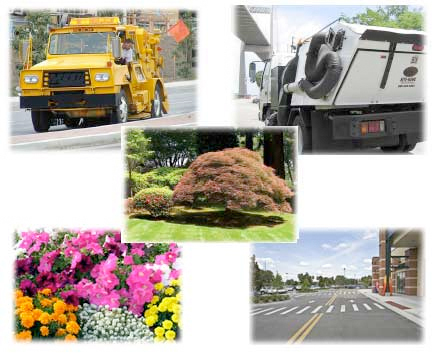 In addition to sweeping, we can take care of all the landscaping on your property. We offer experienced, cost-effective solutions in all our areas of expertise. This includes all aspects of landscaping services. With East Coast, you can know that your property will always kept in the best possible condition. 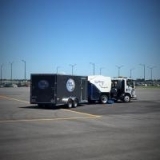 East Coast provides services in NY, NJ, CT, PA and FL. We also take pride in the communities in which we operate. Check our website for examples of our community ser vice programs. 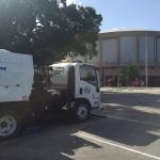 Whether you represent a city looking for a cost-effective solution for your street sweeping, or a mall manager wanting regularly scheduled sweeping and maintenance services, you'll find the experienced personnel at East Coast can provide what you need. 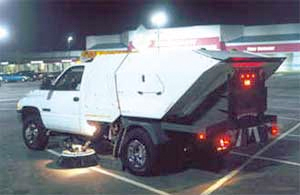 We also perform construction site cleanup on a pre-scheduled or on-call basis. When you want the best, call East Coast! All of the services we provide are monitored to assure peak performance. Our experienced management team maintains a thorough follow-up procedure designed to maximize employee training and assure consistent, industry-leading results with every sweep. Give us a call for a complimentary assessment of your needs by one of our professional sweeping managers. Our customers appreciate that for virtually any exterior maintenance need, East Coast is "The Only Call You Need to Make." If you want to utilize a service provider that can do everything you need done, in addition to a great job of power sweeping, give us a call today!